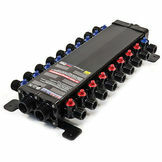 Revolutionize the way you connect your plumbing with manifold systems. 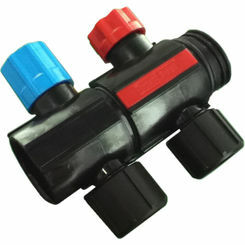 Water manifolds are fittings that make it easier to pinpoint leaks and fix them. 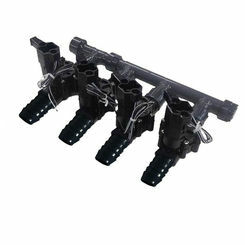 They also more cost efficient, especially when you shop with PlumbersStock for plumbing manifold systems. 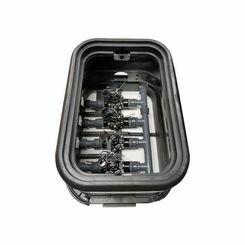 At PlumbersStock, we offer a wide variety of Viega water manifold systems and parts and accessories by Dura, Orbit, HeatLink, and more. 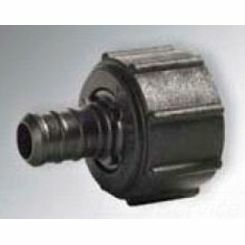 To purchase the right part, you should probably understand how they work, and how they are installed. 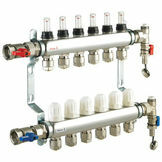 How Does a Manifold System Work? 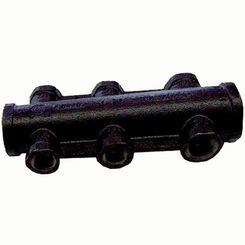 Plumbing manifolds are corrosion resistant making it easier to service the system. 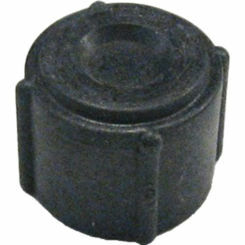 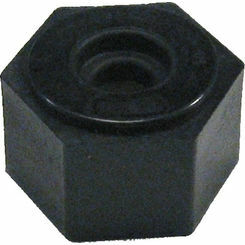 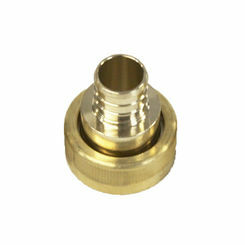 They are compatible with all common supply lines. 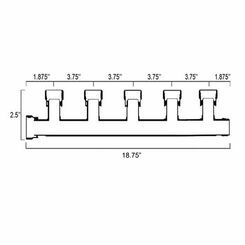 They can even use the 3/8 supply lines. 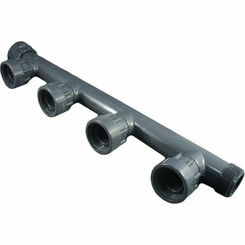 The pressure in the manifold system is also determined by the supply line. 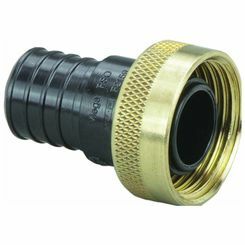 Since each water fixture is supplied with their own water line, which is plugged into the manifold, it makes fixing leaks or turning off just one line easier. 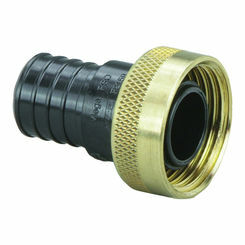 You no longer have to turn off the whole water system to make it so that a leaky faucet has no water supply, you just turn off the port to that line at the pipe manifold. 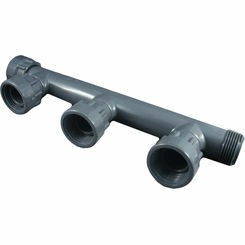 The flexible PEX piping is corrosion resistant, does not suffer from scaling or microbiological build up; it is a better insulator than copper, quieter than metal pipes, is flexible and reduces the chance of frozen pipes bursting.  PEX tubing is flexible tubing that ranges in diameter between 3/8"- 1". 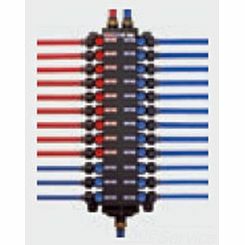 We suggest that you color-coordinate your tubing for the hot water lines, and the cold water lines, so that it makes installing or fixing problems easier to determine. 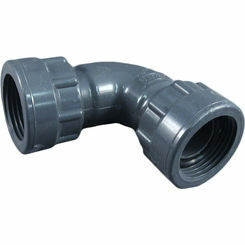 Water supply fittings for manifolds are necessary. 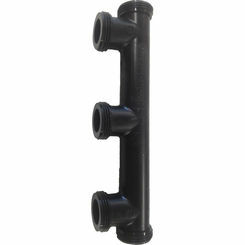 Usually, the pipes that supply your water have a different style to them than your manifold system and getting the correct fitting makes it easy to connect the supply lines to the manifold. 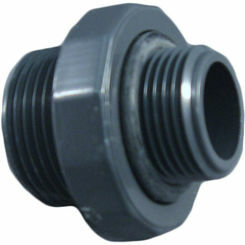 PEX tubing requires either a PEX crimp or a clamp connection to your fixtures. 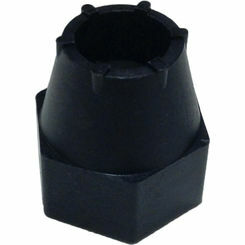 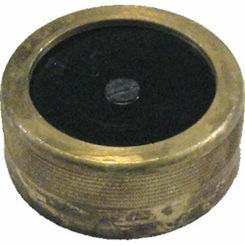 Those require crimp rings and a crimp too, or clamp rings and clamp tool to install them properly. 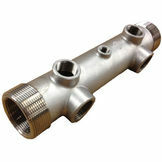 We offer several manufacturers to choose from for manifold parts and accessories. 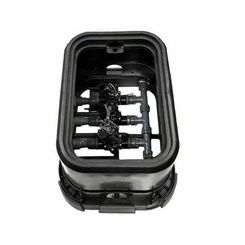 If you have any trouble finding the right water manifold system, please contact us and speak with a knowledgeable representative.